Subramanian Swamy said that there is no 'Brand Modi' but the ideology of the BJP and its Hindutva agenda which would help get the party its second consecutive term at the Centre. 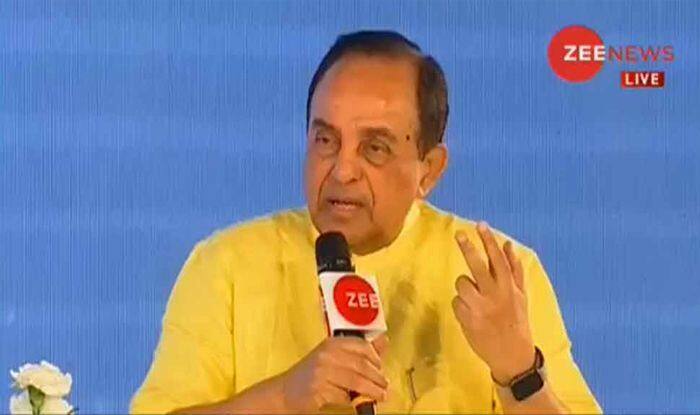 New Delhi: The BJP will return to power at the Centre despite people angry over economic issues, BJP leader Subramanian Swamy said at the India Ka DNA 2019 Conclave on Monday. The BJP leader, known for speaking his mind and not toeing the party line, said there is no ‘Brand Modi’ but the ideology of the BJP and its Hindutva agenda are the core issues that would give the party its second consecutive term at the Centre. Swamy also attacked Congress president Rahul Gandhi and his mother Sonia Gandhi, reminding them that they are accused in National Herald case and are currently out on bail. Rahul Gandhi failed in M.Phil and his real name is Raul Vinchi, he further said.